Rotella's Torn posters on canvas is an expression of Decollage. 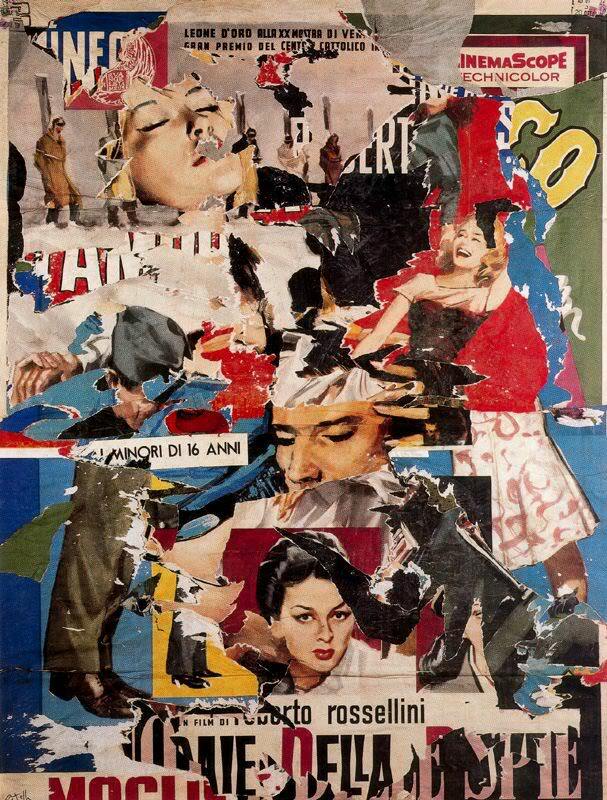 The art work is consisted of taking possession of wall posters especially those pasted one over the other; then attacking it by vandalizing, pealing, shredding pieces of it until the layers showed through. And to complete the work, the artist would mount it on a canvas and distressed the salvaged sheets still further to produce a type of cubist fragmentation, and over all, as a abstract expressionism.